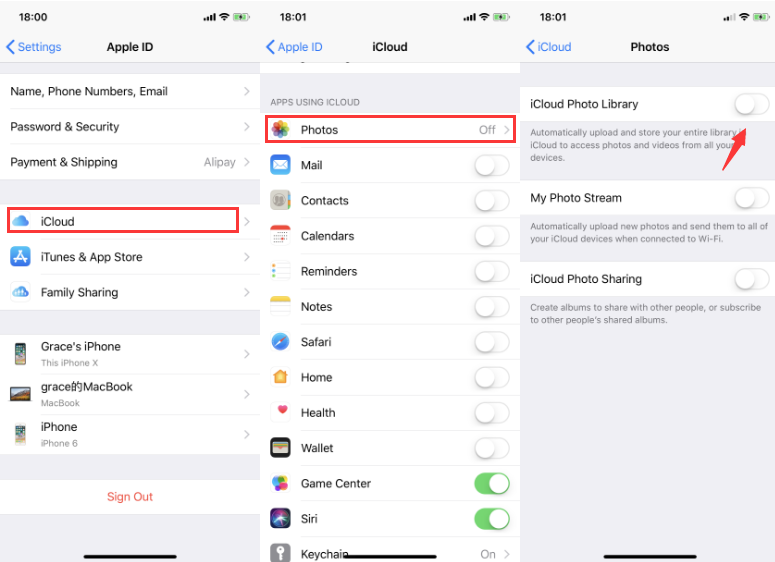 tutorial|Why It’s Failed to Delete Photos on iPhone Using 3uTools? Why It’s Failed to Delete Photos on iPhone Using 3uTools? If it’s failed to delete photos on iPhone using 3uTools, please try the following methods. Solution 1: Please confirm that “iCloud Photo Library ” is off on iPhone. Click “Settings→iCloud→Photos”. If “iCloud Photo Library” is on, please turn it off. Solution 2: Please restart and re-connect with 3uTools. Solution 3: Please try to unplug and replug iPhone. Solution 4: If the above operations can’t solve the issue, please check the USB cable/port. Related tutorial: How to Solve the Frequent Operational Failure of 3uTools on Computer?